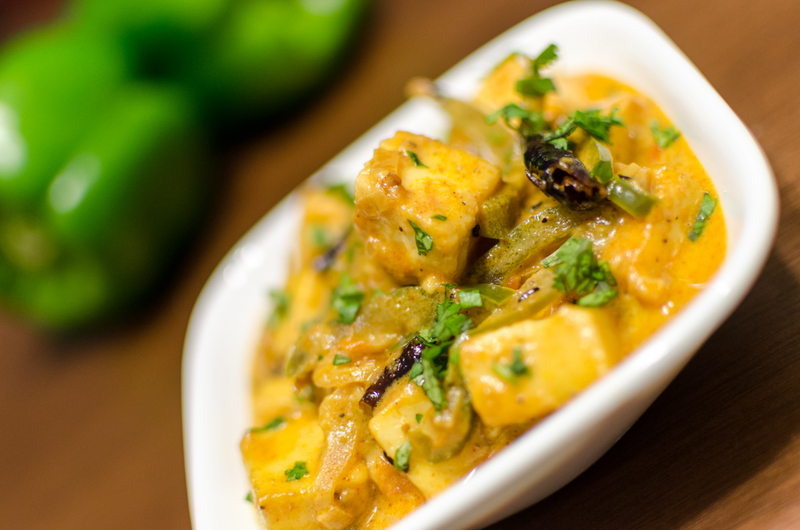 Mum would make mouth-watering home made paneer and prepare the most delicious Paneer dishes. Kadai Paneer is one of them. Here is the recipe. Heat oil in a Kadai. Add finely chopped onions and fry till slightly brown. Add enough water and make a thick gravy. Keep it aside. Heat oil in another Kadai. Add cumin seeds and allow to splutter. Add the sliced or cubed onions and capsicum and fry. Do not over cook. Add the thick gravy and mix well. Add the paneer pieces, ginger Juliennes and chopped coriander leaves. Cook for a few minutes. Add fresh cream and mix well. This entry was posted in Vegetarian and tagged kadai paneer, paneer, paneer gravy, paneer recipe. Bookmark the permalink.